I am beginning to think through and do some holiday planning….yes, in October! I am finding that when I plan ahead I am less stressed and more focused on the things that really matter. That goes for meal planning, school planning, house cleaning…and yes, holiday planning! As the seasons are changing and shifting gears to cooler weather and falling leaves, so my focus is beginning to shift towards preparing for His Coming celebration ~ Christmas! I don't want my holidays to be so full and busy that I don't have time to enjoy my children…to minister and spread the Gospel to others…to focus especially on preparing our hearts for His Coming! It was with this in mind that I began putting together my own holiday planner. I recently finished up my newest ebook, The 12-Week Holiday Planner for the Christian Family, and have eagerly plunged into the beginning stages of planning for the holidays using this resource. My desire in putting together this eBook was to provide a tangible way for me to plan out our holidays so they are enjoyable, less stressful, and more filled with the things that really matter. I thought others may also benefit from such a planner. Many have enjoyed Marilyn Moll's (www.urbanhomemaker.com) holiday timetable over the years, helping to plan out the holidays. What I have done in this eBook is provide dozens of forms to go along with Marilyn's timetable, some holiday tips, "To Do" lists for each of the 12 weeks, craft ideas, favorite recipes and MORE! Also included are Jesse Tree devotionals by Ann Voskamp (www.holyexperience.blogspot.com) for the month of December! These devotionals will lead you and your family in true worship as you anticipate the celebration of His Coming! This eBook includes EVERYTHING you will need to plan out your holidays…giving you instructions and all the forms you will need to set up your very own Holiday Planner! "When making your Gift Ideas List for your kids, please take some time to evaluate what kinds of gifts you want to buy or recommend for your children. In a day and age where materialism is rampant, it is so easy for our children to get caught up in all the "things" they want. I was listening to a radio show last holiday season and the speaker was giving some advice on Christmas shopping for our children. He said that their family has chosen to only get their children three gifts: one item that they need (such as clothing), one educational item (such as a book, educational game, etc. ), and one item just for fun (this is what most children end up getting the most of). The speaker said that it has provided balance so that their children receive gifts that are "good" for them and not just all for fun. Plus, this helps prevent parents from overspending on their children when it is really not necessary…thus keeping our focus on what Christmas is REALLY about ~ Jesus!" TIPS FOR KEEPING JESUS AT THE CENTER THIS HOLIDAY! I would like to share a few things that the Lord laid on my heart as I prepared this holiday planner. These are the "heart and soul" you might say of why I put this planner together. "Have you any room for Jesus, He who bore your load of sin. As He knocks and asks admission, sinner won't you let Him in. Room for Jesus, King of Glory. Hasten now His Word obey. Swing your heart's door widely open…bid Him enter while you may." Take some time to sit down as a family and talk through what you want your holidays to be like. Pray together asking the Lord to show you what you should and should not participate in. He will guide your family into a very special holiday season…one that is focused on Him! Even with our focus on Him during the holidays, there still will be some planning to do. This is where the holiday planner comes in. By starting in October, you will have things to do each week so that when December comes you have the bulk of your planning and shopping done. This will relieve much of the stress that comes from a lack of planning. You will be able to enjoy the holidays, knowing that you have made time for Him first, time for your family, and then time for others. One of the benefits of planning ahead is being prepared to minister to others. Christmas is one of the best times to share Christ with your unsaved family, friends, and neighbors. Gather the children around in the kitchen, bake up some plates of treats, then attach a homemade Christmas card with the message of Christ's coming…His coming to seek and to save that which was lost! I pray that as we head into the holiday season that you and your family will keep your focus on Jesus…for He truly is the "Reason for the Season!" More Christmas and holiday help coming your way next month. Stay tuned by subscribing to our newsletter on our home page. 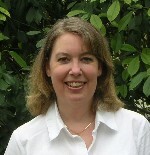 Terri Johnson is the creator of Knowledge Quest maps and timelines. Her mission for the company is to help make the teaching and learning of history and geography enjoyable for both teacher and students. She has created and published over 15 map and timeline products. Her Blackline Maps of World History have been widely recommended in the education community and published in The Story of the World history series by Susan Wise Bauer. Terri and Knowledge Quest recently won the “Excellence in Education” award granted by The Old Schoolhouse magazine for best geography company of 2003 and 2004. Terri resides in Oregon with her husband Todd and their six children whom she teaches at home.